A West Sussex councillor has suggested that local authority leaders copy the county’s headteachers and march on Whitehall to demand more money. Since 2010/11, West Sussex has seen the amount it receives from central government almost halved and, as a result, will have had to make savings of £216m by the end of this financial year. The situation was discussed at length at a meeting of the performance and finance select committee on Friday (October 5), where the figures were described as ‘staggering’ by Lib Dem group leader James Walsh. When asked what the council had done to tell the government that ‘this is not good enough’, leader Louise Goldsmith reeled off a list of actions, including writing ‘umpteen’ letters to ministers and lobbying West Sussex MPs. To calls of ‘absolutely’ from fellow councillors, Dr Walsh accused the government of being ‘totally in denial’ about the cuts to local government funding. West Sussex faces a budget gap of £145m over the next four years. Even factoring in a council tax rise of 4.99 per cent next year and 1.99 per cent increases in subsequent years, the figure will still stand at £92.3m. 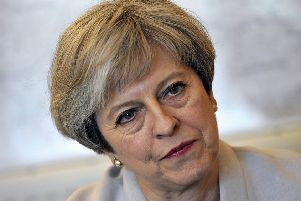 Jeremy Hunt, cabinet member for finance and resources, told the meeting: “Despite Theresa May announcing recently that the end of austerity is in sight, as far as we’re concerned it is business as usual. Among the ‘challenges’ which have hit the headlines in the past week was the proposal to cut housing support contracts worth more than £6m from April 2019 – a move which would affect services such as Crawley Open House and the YMCA Downslink Group. Mr Hunt said: “It must be pretty clear to everybody that not only have we picked all the low-hanging fruit, but I think we’ve picked virtually every bit of fruit on the tree. “So from now on, the decisions are only going to get tougher.